The Australian economy has never lacked confidence and even now, as the mining boom subsides, the Aussie business world looks forward to growth in other segments. What are experts predicting will be the next hot spots for growth? Over the next few decades the ratio of over-65s to those of working age in Australia will be higher than ever. By 2050 the number of people aged between 65 and 84 will more than double, says the ARC Centre of Excellence in Population Ageing research (CEPAR), and numbers of those over 85 will more than quadruple. This is not unique to Australia. CEPAR says that by 2050 in the Asian region the number of people 65 or over will increase from 400 million to 1.25 billion. All of this increases the strain on public coffers, but will also fuel a voracious demand for various services connected to health and ageing. Deloitte’s Positioning For Prosperity report put residential aged care, medical research and re-skilling an ageing workforce all close to the top of the growth tree. What does it mean to re-skill an ageing workforce? Australians are interested in working until later in life, some because they want to and some because they have to. But the skills they have developed throughout their careers will likely need updating and the industry currently providing such a service is relatively immature. Also on the ageing population growth list were sectors connected to preventative health and wellness, community and personal care, medical research and the digital delivery of health. Along those same lines, the physiotherapy industry is expected to grow over the next five years, says business intelligence specialist IBISWorld. With the ageing population, and as related fields such as chiropractic therapy attract criticism and controversy (meaning the medical profession will guide more patients than ever towards physiotherapists), the field will likely experience enormous demand. IBISWorld cites Free Trade Agreements with China, Japan and Korea as major drivers for the expansion of the meat processing industry. Similarly, Deloitte says a ‘dining boom’ amongst our closest neighbours, as Asia’s increasing (and increasingly wealthy) middle classes begin to expect new and different culinary experiences, could lead to a boom across all food processing industries. This is as long as Australian authorities address the outdated regulatory framework, Deloitte says. The combination of a depressed dollar, a spectacular and uncrowded natural landscape, and increasingly wealthy neighbours in Asian territories, means Australia’s tourism industry is facing a very bright future indeed. 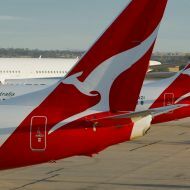 National carrier Qantas, for example, has apportioned some of its recent financial success to increasing demand from Chinese travellers. The reasoning for this one is simple. Efficiencies and automation required in almost every industry are driven, in a large part, by technology. From apps and e-commerce websites to robotics and artificial intelligence, the ICT industry is at the centre of their research, development, implementation and management. As with ICT, every growth business requires financial and accounting services. And every aged Australian will look to the finance sector for advice, for financial vehicles and for money management. 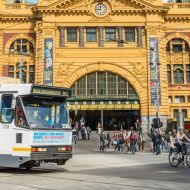 In its geographical region the Australian finance sector is already strong, but Deloitte says the industry will continue to grow. Interestingly, some specialists say the fact that the finance sector has doubled the size of its economic contribution over the last 30 years could also indicate that it is running too hot, particularly when compared to other territories. So the greatest growth is likely to be in the parts of the industry closely connected to other growth sectors. IBISWorld says the growth in demand for private schools (a pattern that has been identified over the last five years as birth rates have also jumped) is likely to continue into the next five years. Increased revenues from growing student numbers mean private schools will look to differentiate themselves by improving staff-to-student ratios, meaning private schools (and all schools, in fact) will be a growth industry for employment, too.